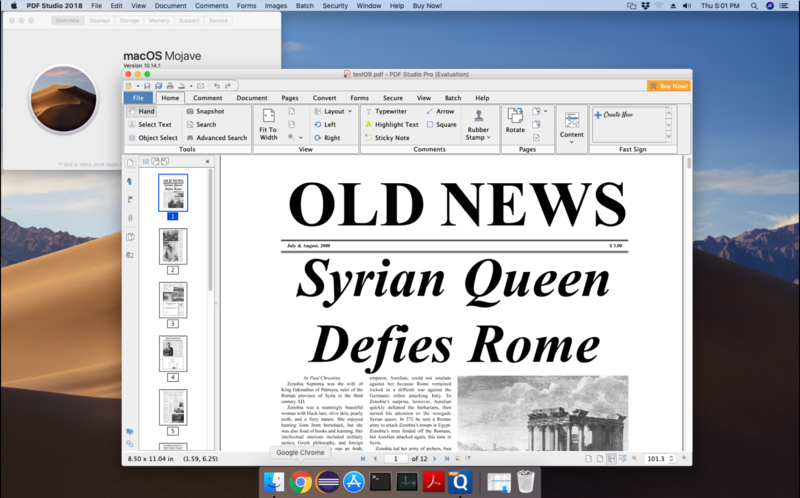 Q: Does PDF Studio, Qoppa’s PDF creation and editing application, work on macOS Mojave? A: Yes, PDF Studio is fully compatible with macOS Mojave. We have tested PDF Studio on macOS Mojave (version 10.14) and were able to confirm that our PDF editing software works properly on the new OS. Give it a try and download a free demo version!